Thank you everyone for the wonderful well-wishes -- I so appreciate it! You made my weekend for sure -- I got sniffly for an entirely non-cold related reason! ;) I'm feeling better (hot tea is doing wonders, plus sleep), and I'm going to try to prop myself up with a book. 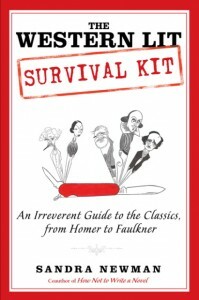 The winner of The Western Lit Survival Kit is ... Kathleen B.! If you didn't win, check out my current giveaways! More coming soon...! Congratulations, Kathleen! So glad you're feeling better, Audra.